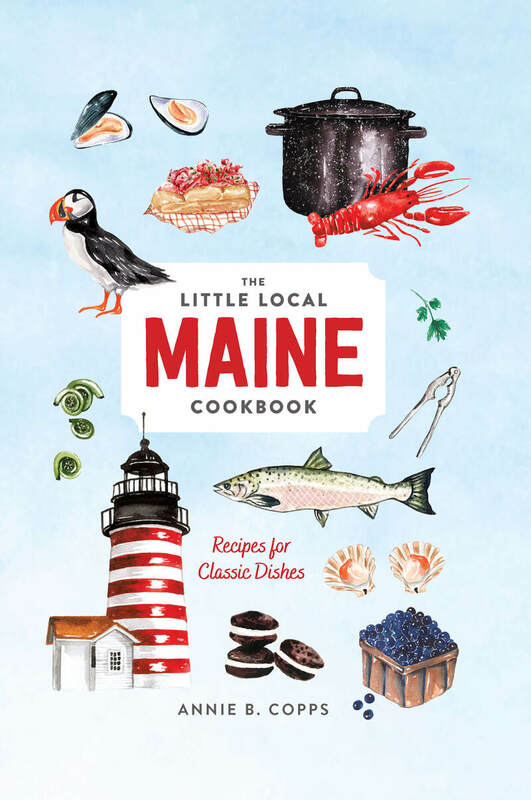 The Little Local Maine Cookbook brings the essential flavors of Maine to your table. From lobster boils, rolls, and bakes; whole roasted fish with fresh farm-stand corn; and blueberry-sauced crepes and homemade pie, this book includes traditional recipes that celebrate the state. Written by a regional food expert and beautifully illustrated, this little cookbook is the perfect gift for Mainers and tourists alike. Annie B. Copps is a food writer, cooking teacher, and former chef. Annie has worked as a food editor for Boston and Yankee magazines. She teaches cooking classes all over the world and is the author of A Little Taste of Cape Cod.